What's the first thing that comes to mind when someone mentions the prospect of shopping from a China website? Cheap knockoffs, counterfeits and replicas? Well, I don't blame you because majority of us online shoppers feel that way. China often gets a bad reputation for mass producing look-alike branded items from gadgets, phones, clothes, handbags, and the list goes on... In fact, if you can think it, they can do it. But is everyone in China like that? I have no intention of stereotyping China folks, but I would say majority of them but NOT all. There's always bound to be a few bad apples, but not all of them are as bad as you might think. There are actually many little hidden gems in China, IF you know where to look. Now why does my opinion matter, or why rather, should you listen to me? Well, firstly, no one likes getting ripped off or cheated off of their money. I've had my fair share of experiences, and let me tell you, it's a disgusting feeling that makes me sick to my gut. I started my first online business back in 2006, selling women's clothing and accessories as well. I sold my business in 2013 when I found myself pregnant with my daughter. I wanted to dedicate my time to raise my firstborn. Now that she's a little older, I find myself back in business again. So all in all, I have about close to 10 years of experience selling online. Knockoffs, Counterfeits, Reproductions - Which One's Legal? Now, before we dive deeper into this, it helps to understand these different terminologies and their nuances. I see these terms being thrown around interchangeably that it becomes rather confusing, especially for rookie online shoppers. 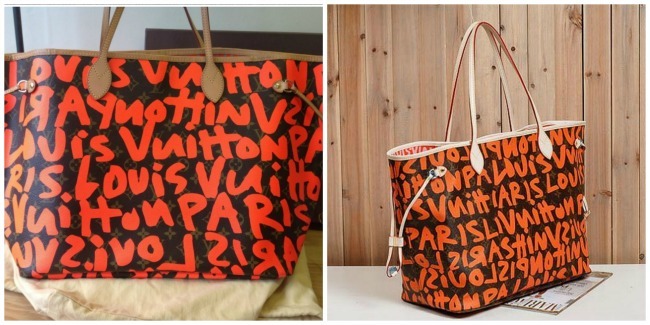 What's the difference between knockoffs, counterfeits and reproductions? Which one's legal and which one's not? This article here from Intellectual Properties Firm did a good job of summing it up. See their definitions below for "knockoff" and "counterfeit". "Knockoff is a broader term used colloquially to describe those products that copy or imitate other products, but which may or may not be illegal under trademark laws. These can include products that have a confusingly similar overall appearance to a well-known product, but which do not contain any identical logos or federally registered brand names. Those who sell such products may still be sued by the trademark owner because these products can still cause consumer confusion, even if they do not contain counterfeit logos or brand names. However, these type of “knockoffs” cannot be criminally prosecuted." "The term counterfeit is strictly defined by federal law. The key difference is whether or not the product contains a brand name or logo that is identical to a registered trademark. A counterfeiter is one who intentionally and identically (or nearly identically) copies a federally registered trademark and places the fake logo or name on goods that are not authentic. These products are considered illegal because they clearly are intended to confuse consumers at the point of sale, and are a fraud on the public. Someone can be a counterfeiter even if he doesn’t make the products, but sells them to others." 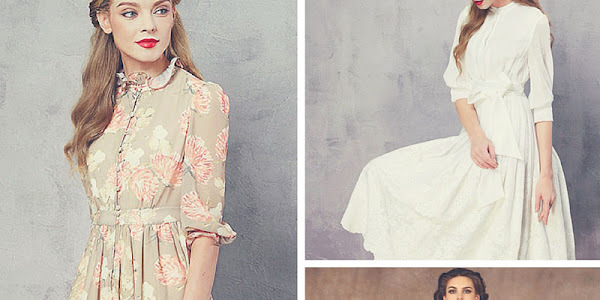 If you love shopping for vintage style or retro clothing, then you would probably have come across the term "vintage reproduction". Now the term "reproduction" means "the action or process of copying something". In terms of vintage reproduction clothing, it may mean creating a piece of garment based on a vintage sewing pattern or style (e.g. hem, seams, belt loops, etc.) 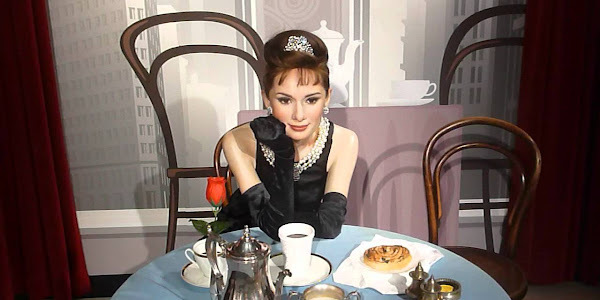 or, it can be a designer re-creating garments based on pictures of dresses worn in past eras (e.g. from the 1920's to the 1970's). Now, this just begs the question - is reproduction legal then since you are also essentially copying someone else's design or dress making patterns? "One off designs or a work of a character that is of the nature of couture or high fashion maybe considered a work of artistic craftsmanship and the garment itself protected by copyright. However, in the cases of designs of a more utilitarian character, such as a T-shirt or generally items such as mass produced pants and shirts where these garments have been mass produced and sold, copyright protection in most instances would be lost... With regard to vintage garments the same rules apply and copyright may also have expired." I don't know about you, but this still feels like a gray area to me. You'll be surprised to find that even A-list celebrity designers get caught red handed trying to pass someone else's designs as their own. Don't believe me? Have a read here. 1. I did not receive my order... and it's been more than 3 months! When you shop from China, most retailers will offer you free shipping on your order to entice you to make a purchase. It is very tempting, I know. Who doesn't like free shipping, anyway? But here's the catch. In China, free shipping is possible with their China Post air mail service but it usually takes at least 15-45 days to arrive. What they don't tell you is the parcel loss rate is high. If it takes more than 45 days, chances are your parcel has already gone missing somewhere along the line. But hey - I have a tracking number. I'll just check where the parcel is at now. Well, I'm sorry to break the news to you, but the tracking number may not be traceable. For instance, if you live in Australia, you will be able to track the parcel only to a certain extent - while the parcel is still in China using China's tracking system. Once it leaves China however, you're pretty much on your own. AusPost will not have any tracking details whatsoever of your parcel. So be very wary when you're offered free shipping. Take the time to ensure that your parcel is shipped via reliable shipping carriers. 2. I received my order but it's significantly different from the photos! Loose threads, funky smelling garments, see through (almost transparent) materials and faulty zippers? I'm not surprised. This is another common nightmare while shopping via China websites and it's no wonder why. Majority of online retailers use original photos from other retailers but are selling copies of the actual product. The telltale sign is the price. If the price is ridiculously cheap, then chances are you might be purchasing a copy and not the genuine product as advertised. 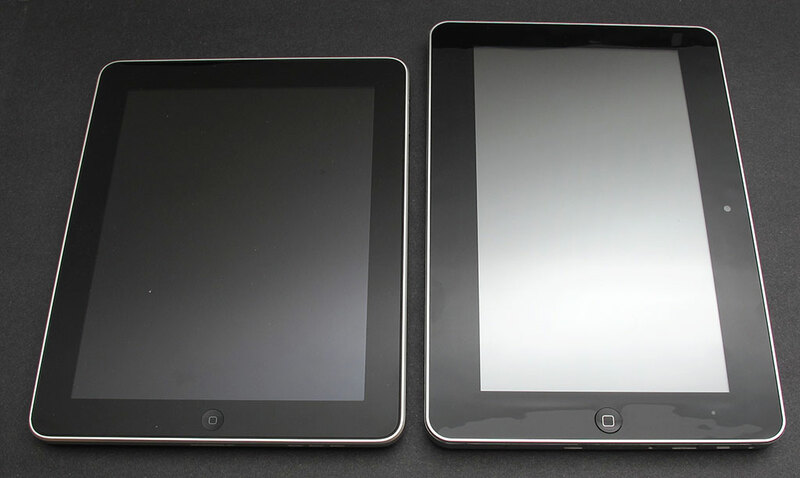 In China, copies of an actual product can be mass produced easily, therefore keeping the costs competitively low. This is how they can afford to sell an item to you at a cheaper price. The quality? Well, I hate to say this, but you get what you pay for. If something is too good to be true, then it usually is. So trust your judgment and shop wisely. We've all heard the horror stories of poor customer service, lack of attention to details (shipping an entirely different product, color or size) and retailers who go MIA when you need them the most. When dealing with China retailers, you have to bear in mind that customer service may not be their strongest point. Ask anyone who has ever been to China's street markets and done some haggling. They'll tell you. Okay, so I may have quoted an extreme example, but in my years of dealing with different China retailers and suppliers, the result is the same. Majority of them don't like you asking too many questions or bargaining too much without making an actual purchase. So if you shop from a China website, you will need to lower your expectations. Don't expect to receive top notch, excellent customer service as you would expect from an international brand or retailer. So if China is notorious for all these problems, then why still shop from them? Well, as I've said before right at the start of this article, NOT ALL China retailers are bad news. There are those who really care about their brand and reputation and who want to make it big in the industry as well - just like any other retailer from all over the world. The only thing holding them back is the language barrier and their lack of knowledge with dealing with overseas customers. The easiest thing you can do is to first check the company's review and ratings. Go to Google or whichever search engine you prefer and type in "<company name> review". But be very careful; some reviews may be paid reviews or they are written by people who are affiliated to the company and are just looking to make a quick buck out of you without having actually tried out the product themselves. Your best bet is to check from review sites such as TrustPilot or SiteJabber where it is harder to manipulate the ratings. If you can find a reputable blogger (a clear indication would be if they have a large number of following on social media), see if they have written a review about the company before. Occasionally, you may also find reviews or rather answers from Yahoo! communities. I would take YouTube video reviews with a pinch of salt, unless you are familiar with the video blogger. It only takes a little practice and once you get the hang of it, you'll be able to smell any fishy business a mile away. Before you decide to place an order, have a chat with the company's customer service team or drop them an email (or ticket) asking about a product. It is your right as a customer to request for information before purchasing, so use that to your advantage. You will be surprised though, but there are some who will give you very unenthusiastic or half-hearted replies about their product or company. If the company demonstrates that they could not care less about their service, what makes you think they would about their brand and products? And if this is their pre-sales service, can you imagine what their after sales service would be like? So test before you buy. I don't care if you're getting free shipping or not, but always insist on a reliable end-to-end tracking number. And by that, I mean one where you can track from when the parcel leaves the source, travels to you and to when the parcel arrives at the destination. If you don't get that with your free shipping, then you might want to consider upgrading to a more reliable delivery option or requesting the retailer to add shipping insurance. Shipping insurance may help to protect you in cases where your parcel gets lost or damaged during transit. I hope this helps. Shop smart and shop safe!